Are you waiting for that perfect moment where you could let your hair down and sing your heart out? No need to go far. Disney On Ice: Dare To Dream is happening right here at the Vivint Smart Home Arena on Friday 8th March 2019. 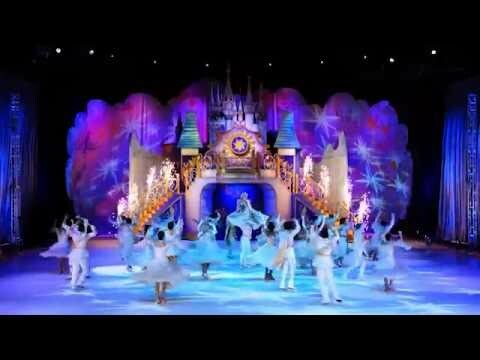 Disney On Ice: Dare To Dream promises an epic performance that will leave you breathless, or maybe even voiceless if you sing-along to their unending string of hits. Tickets are now available; get 'em while you can! What better way to spend a Friday!! Salt Lake City gives a warm welcome to Disney On Ice: Dare To Dream for their live show on Friday 8th March 2019! Disney On Ice: Dare To Dream has proven their time and time again their sheer talent and incredible musicianship through their career and gets ready for another exciting North American tour! What better to do on a Friday – than catch your favorite artist perform right before your eyes… the dates have NOW been released, along with tickets for the unmissable night, be sure to tell your friends and book yours and head down to Vivint Smart Home Arena to catch Disney On Ice: Dare To Dream – who knows when this chance will come around again, so don't wait to find out!